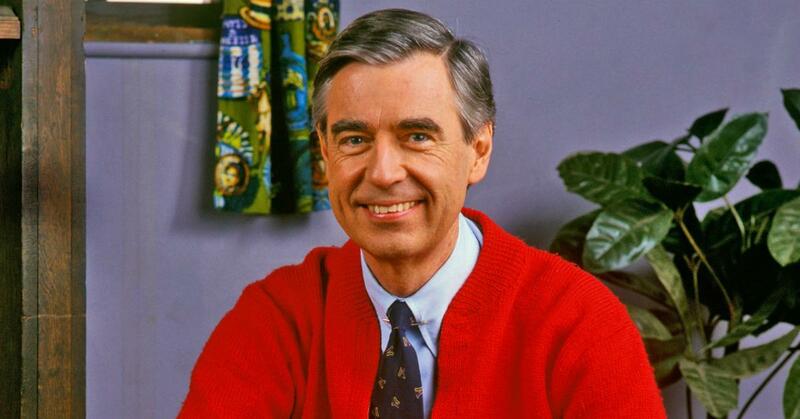 Mr. Rogers was and remains to be one of the few non-controversial television figures of all time. The message he shared on the first episode of his show was the same one he did on the last episode. Be kind to others, and be a good neighbor. They're concepts that have unfortunately fallen on deaf ears in recent years as empathy for your neighbors have taken a back seat. When he passed, a celebration of his half century old show was planned to commemorate the man and his life, and it's a tear-jerker. The 50th anniversary of Mister Rogers' Neighborhood just passed and if you grew up watching PBS, then you're probably familiar with the show and just how much of an OG Rogers is. Now, here's the thing about Mister Rogers' Neighborhood - the show, by all accounts on a surface level, shouldn't capture children's imaginations and it shouldn't be 'good.' I mean, there are no dinosaurs. There are no wise-cracking sidekicks or zaniness. There's no macho dudes wielding swords or pretty animated ponies prancing all about the place with a musical number every three minutes. It's a show about a friendly dude who wears cardigans. Who wants to be your neighbor. On a surface level, it sounds kinda boring, especially in the later seasons when Mr. Rogers was getting up there in age. But if you just watch the show for a couple of minutes, you're instantly sucked in. There was something about Mr. Rogers' quiet enthusiasm and absolute love for his work that came through in every one of his bits. The guy was dead-set on providing an educational learning experience for children all across America, that was provided free of charge, and he was wholly dedicated to his work. And as a kid, although I couldn't really explain why I liked Mr. Rogers, I know it's that same exact reason I was so in love with his show. After the attacks in Manchester, there was a particularly inspiring quote from Mr. Rogers that was being shared to focus on the good deeds people were doing to help victims. Which prompted writer Anthony Breznican to share his own amazing story about Mr. Rogers on Twitter in this touching thread. I was mourning the loss of a neighbor. Excuse me while I finish bawling my eyes out.